Education commissioners from across the country recently gathered at their annual Winter Commissioners Meeting to learn, share ideas, and prepare to guide education policy in the coming year. Building on the 2016 Education Commission of the States (ECS) report, K-3 Policymakers’ Guide to Action: Making the early years count, the meeting focused on strategic planning for the future—ensuring a capable future workforce through intentional investments across P-20 education, encouraging future success through quality early education, and creating a more equitable future for all children. I was invited to discuss funding for future generations—focusing on preschool to third grade. Early childhood advocates have become adept at explaining the value of investing in a high-quality pre-K program—and state policy makers are listening. When I spoke to commissioners and state legislators, including those from states that do not have state-funded pre-K, the conversation was not whether early learning programs were a good investment, but rather how these programs can be funded and what elements will ensure quality. It’s exciting to see state leaders discussing and thinking about ways to solve the pre-K funding puzzle and brainstorming about how to use what works in preschool to enhance primary grades to ensure a brighter future for children, families and communities. Big differences exist between how pre-K is funded, compared to K-12. Most states—43 plus the District of Columbia—rely on general revenues, and about 15 programs require a local match. State funding for preschool also may include lottery funds, gaming revenues, sales taxes and general revenues. States also use a variety of mechanisms to distribute funding to pre-K programs—only 11 include state-funded preschool in their K-12 school funding formulas. A recent analysis of those states found including pre-K financing in the school funding formula led to “better pre-K funding,” that was both more stable and more responsive. However, we know that focusing only on the “P” is not good enough to sustain gains made thanks to quality preschool programs and create better futures for children. Too often, policymakers considering the P-3 continuum leap from “quality preschool” to “third grade reading scores”—skipping what is needed every year to make the most of a strong early learning foundation. What about full-day kindergarten? In 2015, only 28 states offered full-day kindergarten, equal to what was offered in first grade, despite the research arguing for full-day kindergarten. While I was leading the Hawaii early ed office, legislation in 2014 created full-day kindergarten due to support from both early childhood providers and elementary school principals—who said such programs helped instill good attendance habits and prevent chronic absenteeism that interferes with learning. What qualifications are required for teachers in early primary grades? Of all state-funded pre-K programs operating in 2015-2016, 86% required lead teachers to have specialization in early learning. In 2016, only 13 states required that kindergarten teachers had an early childhood education license. Most states offer just one teacher license covering kindergarten or first grade through sixth grade. These elementary education licenses tend to focus on subject-area content while early childhood licensing emphasizes how to teach emergent readers, incorporate child-directed activities and exploration, and engage families. 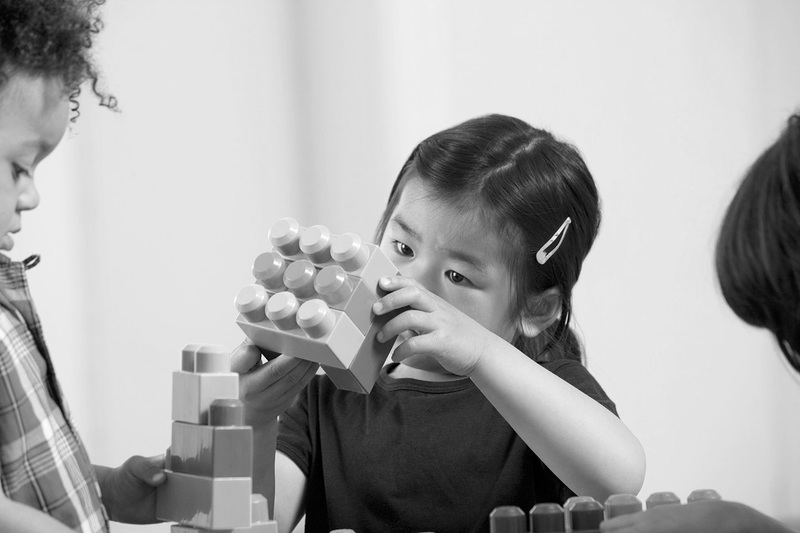 What standards are in place for learning and development in primary grades? All states‘ preschool programs have early learning and development standards that typically include academic and pre-academic skills, social and emotional indicators, as well as problem-solving and creativity—attributes seen as crucial to being college- and career-ready. Unfortunately, the same depth of standards and skills are not routinely discussed in the elementary grades. In a 2016 review of state statutes, social-emotional learning tended to be mentioned in Kindergarten Entry Assessment school readiness definitions, and/or teacher training requirements (not specified in 14 states’ statute, rules, or regulations), but only 11 states in 2017 had learning goals that address students’ social and emotional development. What supports are available for primary grade teachers? For preschool, most states either require coaching or job-embedded support for groups such as new teachers, or include participation in a quality rating and improvement system. And more than three-fourths of pre-K programs in 2015-2016 either required specific child assessments or provided a list of aligned assessments. But this conversation is not happening as regularly or systematically in early primary grades. As we begin planning for 2018, let’s not forget the great opportunity ESSA provides to integrate and support early learning. Many of the items I mentioned can be addressed in ESSA plans with federal funding, including: offering technical assistance around early learning, supporting professional development opportunities for early educators, and aligning curriculum and assessments. To support states in this work, CEELO recently published two new resources. The State of Early Learning in ESSA: Plans and Opportunities for Implementation highlights promising examples from a range of states, with a chart showing how each state addresses key areas within their ESSA plans. CEELO also partnered with the Council of Chief State School Officers (CCSSO) on a toolkit, Birth to Grade 3 Indicator Framework: Opportunities to Integrate Early Childhood into ESSA, for state leaders tasked with making the most of ESSA implementation. GG Weisenfeld is an Assistant Research Professor working on the annual State of Preschool Yearbook, preparing state pre-K reports and researching and offering technical assistance on designing and implementing early childhood policies and programs. She previously held the position of Hawaii’s Director of the Executive Office on Early Learning in the Office of the Governor, worked on state level birth to grade three alignment as the P-3 Director of Early Learning for Hawaii P-20, was a professor at the City University of New York, and was an Early Head Start/Head Start Director and preschool teacher.